...the Kia actually slam dunking* over US netball star Blake Griffin. Ah, the joy of stereotypes. 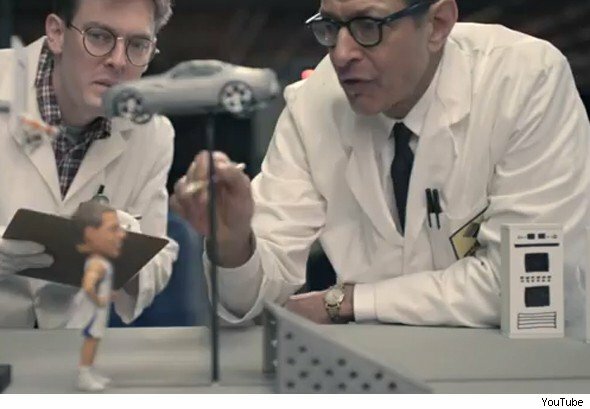 Jeff Goldblum makes an appearance too, playing the same character as he played in Jurassic Park. And Armageddon Deep Impact Independence Day. *Have a guess why that star is there.